Imagine arriving refreshed after a long flight or long train trip, shutting out unwanted distractions in a noisy ambiance or be some meters away from the audio source. 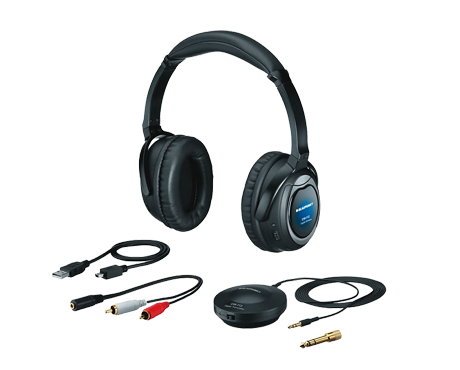 Blaupunkt Comfort Headphones guarantee you perfect sound everywhere and every time. These On-Ear headphones are designed for use with MP3, CD, DVD and, in case of the Comfort 112 Noise Cancelling, in-flight entertainment systems as well. They feature large aperture 40 mm high performance drivers, giving you a well balanced sound with deep bass, extended treble and high fidelity.